The QN-RF038X is a slim line 2 button replacement remote that is compatible with the Merlin M-842 remote control. It is also compatible with other Merlin models (click “More info” for description and technical details). It is easy to program and comes with a key ring to easily attach to your car keys. 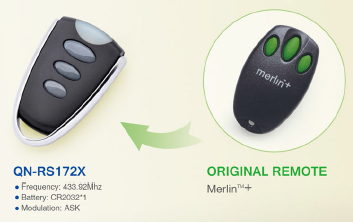 The QN-RS172X is a 3 button mini replacement remote that is compatible with the Merlin+ or C945 remote control. It is also compatible with other Merlin models (click “More info” for description and technical details). 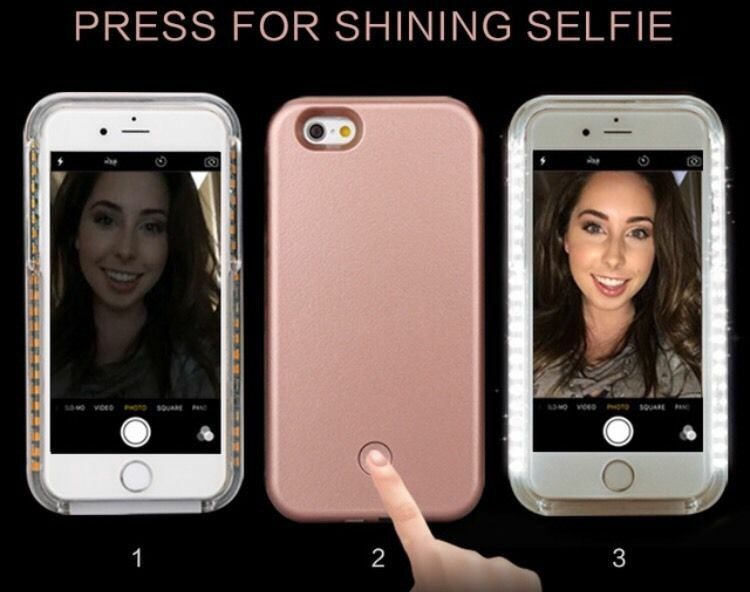 It’s unique shape is easy to hold and it comes with a key ring to easily attach to your car keys. 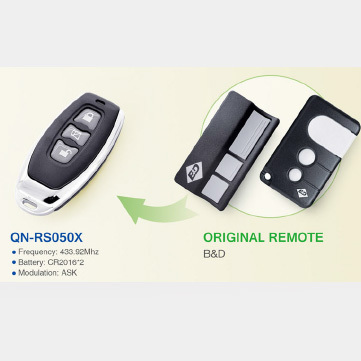 The QN-RS050X is a 3 button fashionable replacement remote that is compatible with B&D original remote (refer image for type). 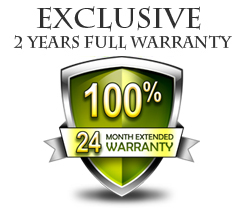 It is also compatible with other B&D models (click “More info” for description and technical details). Even with 3 buttons, it is simple to program and is a compact remote that can fit in the smallest of pockets. 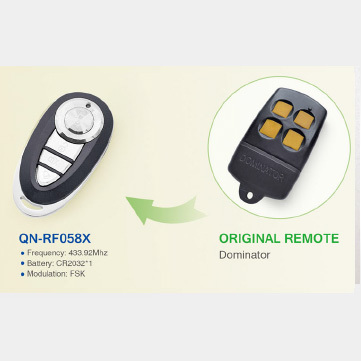 The QN-RF058X is a 4 button stylish replacement remote that is compatible with Dominator original remote (refer image for type). This sophisticated, elegant looking remote can nearly pass as an item of jewelry rather than the standard design remote control. 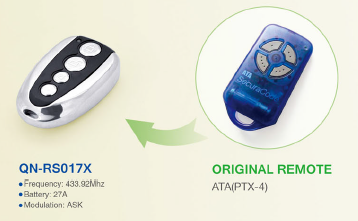 The QN-RS017X is a 4 button replacement remote that is compatible with the ATA (PTX-4) Securacode original remote (refer image for type). 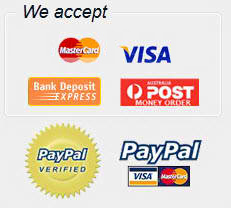 It is also compatible with other models (Click “More info” for description and technical details). 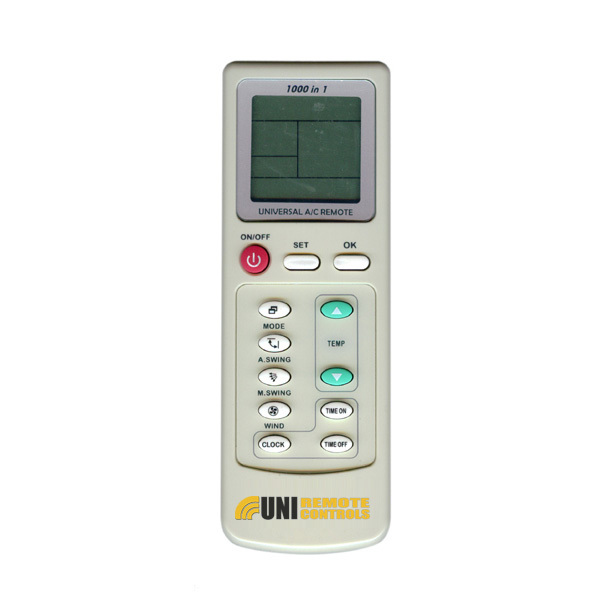 This classy and petite remote is suitable for overhead doors and it comes with a key ring.